7 Budget-Friendly Destinations in the Western USA You Can Visit For $150 A Day or Less! The Western region of the United States doesn’t quite fit the mold of other regions. The climate greatly varies depending on the state, there are lush forests, tall mountains, and even deserts in some areas. It’s safe to say that you can experience a variety of distinctive U.S. landscapes when traveling on a west coast road trip. Disclaimer: This article has affiliate links to products and services we love, which we may make a commission from. There are two times of year that Alaska is amazing, the end of February and beginning of March or in July. The last week of February kicks off their annual winter festival Fur Rondy, and the first weekend in March is the beginning of the Iditarod sled race. Both events are well worth the Alaska cold. Plus its prime Northern Lights viewing time as well. Most people, however, will go in the summer and enjoy the Midnight Sun, fishing, hiking, and pure wilderness beauty. First, to really get the most out of Alaska, you should have a car to drive around. This is because the main draw is the pristine outdoors and wildlife, and to get to it you need to drive. You can easily fly into Anchorage and rent a car for a few days to cruise the Alaska Marine Highway. The first thing we like to do is go moose hunting! No guns, just cameras. 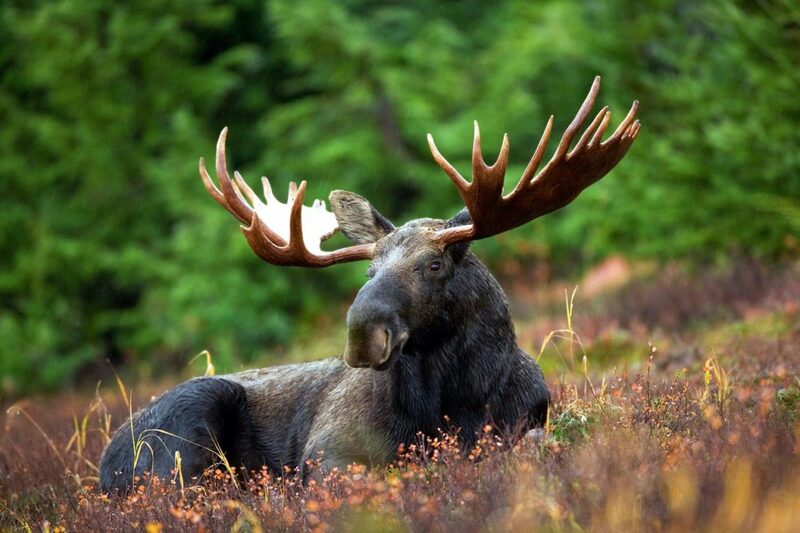 Anchorage is full of parks and trails and you will often come across moose. In summer they will even have a baby or two. Don’t go near them, just look and take photos. The easiest place to see them is Point Woronzof. You can hike or rent a bike and enjoy the fantastic trails all over the city. Second – We love a good museum. Alaska has a unique history and is rich in Native Alaskan culture. The Anchorage Museum has amazing exhibits telling you all about the uniqueness of this great state. (Cost $18 adult/$9 child). Another great museum is the Alaska Native Heritage Center where they not only show and tell, but hold demonstrations and workshops on native foods, crafts, and art. (Cost $24.95 adult/$16.95) Those museums are a bit pricey, so pick one and really enjoy your history and culture lesson…but here’s a secret. There is a great Alaska Museum inside the Wells Fargo Bank and it’s free! Our third choice is a bit outside of Anchorage, but a must-do: Portage Glacier. Only an hour drive, you can take a one-hour boat ride and get up close to the glacier, or you can go to the visitor’s center and learn all about it, as well as hiking the trails up and close. Downtown, all summer, there are a few carts selling reindeer sausages for lunch. Just like a New York hot dog cart, but with an Alaskan twist, you will definitely want to try one! For pizza and beer, we love going to the Moose’s Tooth where you can get all kinds of local brews (from all over the Pacific Northwest) and a great pizza! Accommodations are pricey! Even hostels and budget hotels are going to run you $100 per night for a private room, but if you are going to Alaska, bring your tent! Camping sites are only $20 per night (unless you need equipment) and there are plenty around Anchorage. My favorite is the Eagle River State Campground about 10 miles north of downtown. Walla Walla, Washington is a unique town really only known worldwide by wine enthusiasts and onion lovers(the Walla Walla Sweet Onion). Walla Walla is in a beautiful valley region in the Southeast corner of Washington State of the same name. This picturesque area is filled with fields of grapes, the Palouse hills, and the Blue Mountains – perfect for a west coast road trip. The city of Walla Walla is wonderfully quaint and pretty. It seems everyone knows everyone and those you meet are exceptionally nice. It has a great assortment of restaurants, live music, breweries and wine tasting rooms. Head over to the Saint and the Sinner during happy hour for $3 draft beer. Golfing and cycling are popular Summer sporting activities and skiing and snowshoeing are great winter adventures. You can walk around the city and taste many wines within the tasting rooms. Some tastings are free and some require a small fee ($3-6). You can rent a bike and head off on your own wine tour through the countryside. A bike rental will cost about $30 for a half day and $45 for a full day. If you have the extra money you can opt for a motorized wine tour. I recommend Tesla Winery Tours. It runs $90 per hour but works out great if you have a group. They can accommodate up to 6 people and you cruise with style in the automated Tesla Model X. Make sure you do not miss the Walla Walla Bread Company for a pastry or Pizza ($3-$15). For upscale dining, Saffron Mediterranean Kitchen at $15-$30 for an entrée. For cheaper accommodations, Airbnb will be your best bet. Otherwise, you have the Marcus Whitman Hotel in the city center. 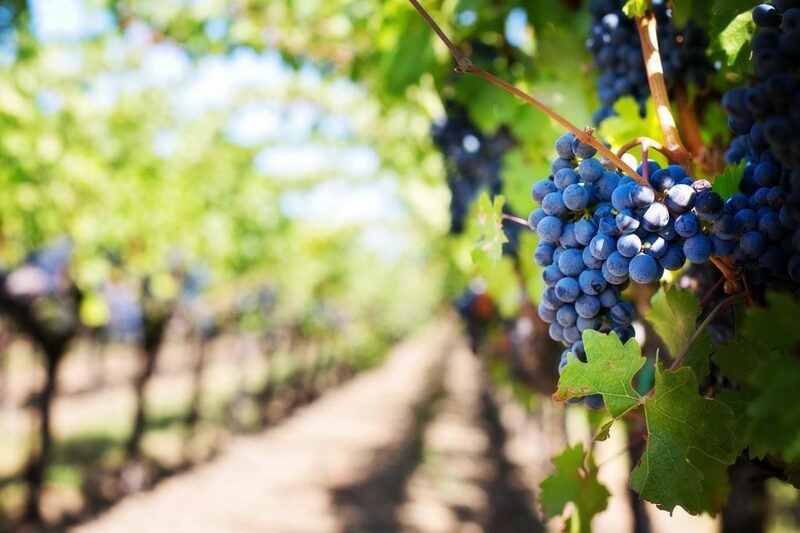 Above all just enjoy your stay, meet the locals and explore the region and Walla Walla wine country. I was born and raised on the Monterey Bay, and it’s a very special place to me for many reasons. The natural beauty of the Central Coast is world-famous, and you’ll quickly understand why – it will simply take your breath away. The people are kind and everywhere you go has a small town feel to it. And I can’t ignore the abundance of amazing Mexican restaurants! The list of reasons I love Monterey is quite long, but the fascinating history of the area added to all of the above makes it a really unique destination that can totally be done in a budget-friendly way if you just get a little creative! 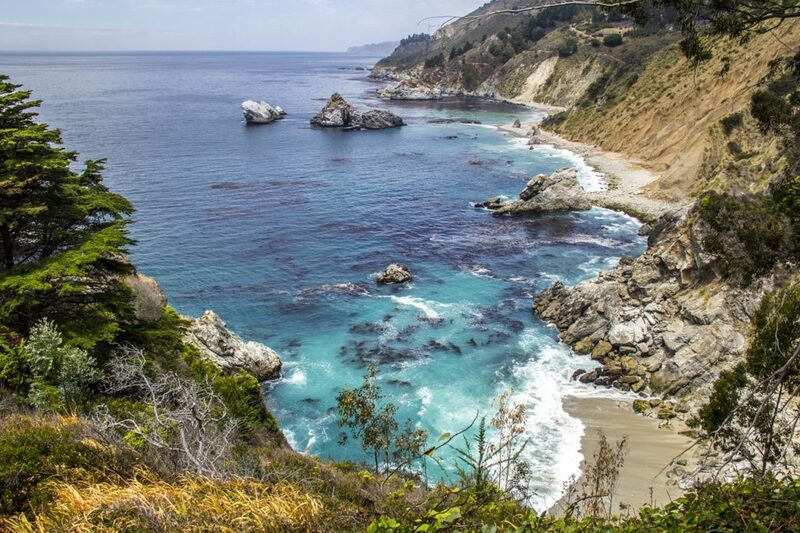 Take a drive down the iconic California coastline to Big Sur and revel in the wonder of the Pacific Ocean during your west coast road trip! 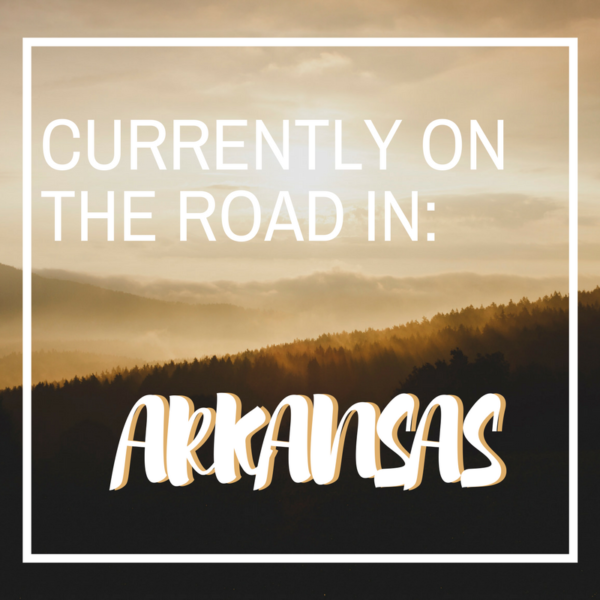 It’s an absolutely gorgeous drive with plenty of opportunities to stop and take photos, grab a delicious meal, or simply turn up your favorite road trip soundtrack and just drive. I’d recommend setting aside a nice chunk of time (around 3-5 hours) so you can relax and enjoy Big Sur fully. And while it may not technically be in Monterey, it’s certainly in Monterey County! (And impossible not to include when mentioning the area.) Price: FREE, minus the cost of gas! Fun fact: if you’re a Big Little Lies fan, you’ll especially enjoy this drive, as it was featured in the opening credits of the show and throughout the season. Next, wander around quaint and pretty Carmel, CA (another one not in Monterey proper but still in the Monterey Bay area). Lots of beautiful shops, restaurants, art galleries, and a whole bunch of charm! Price: FREE to wander, but beware of higher-priced shops and restaurants if you choose to shop and eat there. Things can add up quick! Finally make sure you take the Monterey Trolley to explore Downtown Monterey, Cannery Row, Fisherman’s Wharf and Monterey Bay Aquarium. 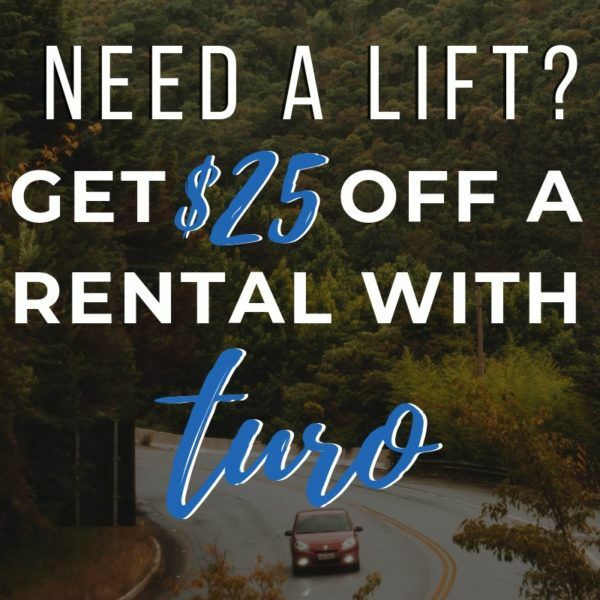 The Trolley provides regular, free service to locals and visitors alike who want to visit the popular Monterey sights or just get a general lay of the land! Price: FREE. Taqueria del Mar is a completely unassuming coastal Mexican joint serving incredibly fresh, delicious, affordable food! Lots of different Mexican food options you won’t find at a typical Mexican restaurant, including many fresh seafood dishes. My absolute favorite meal to order is their shrimp sope platter with black beans and rice. So simple but somehow SO drool-worthy. Prices range from around $2-$12. Il Vecchio is owned by a family friend of ours, and has been extremely popular since its opening a few years ago! It is an authentic rustic Italian eatery with a gorgeous, unique atmosphere you won’t find anywhere else. Budget-friendly tip: go for the Worker’s Lunch (only $10.85 for a fixed price lunch during the day with plenty of different dishes and deliciousness). A gorgeous spot for dinner too, though prices for dinner time are just a little higher. My favorite dish is the cannelloni ricotta e spinaci ($19) but everything on the menu is basically to die for. Pavel’s Bakerei has my hometown heart, no contest. Their giant, fresh baked goods are absolutely insane and the place is always busy as Pavel’s is a local and tourist favorite! My picks: the bear claw or the chocolate croissant (everything at Pavel’s is under $10 and well worth the money). 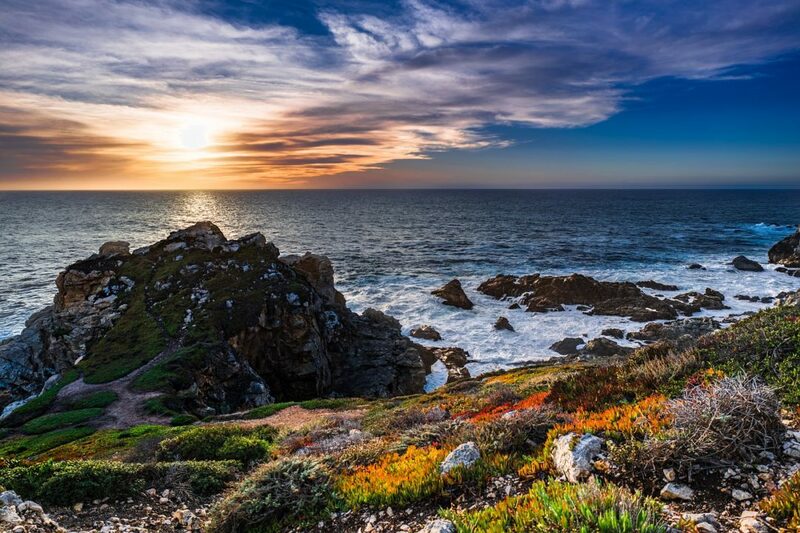 Monterey offers many accommodations for those traveling on a budget. You can easily find a room for $50-150 a night! Las Vegas is definitely one of the most amazing cities on earth. Any time of the day, any day of the week you will find something to do here and is a must stop if you’re thinking of planning a west coast road trip. If you think to visit Las Vegas will blow your budget, you are wrong! You can have plenty of fun and experience the real “Vegas” spirit as a budget traveler as well. We recommend you definitely take a walk on the strip where you can admire all the magnificent hotels that give Las Vegas its charm. The 2 best-paid activities on the strip are to take a ride on the High Roller at the LINQ which would cost you around 20$ and the unlimited ride pass at the Stratosphere Tower which would cost less than 30$. There are many more things to do for free, you can watch the water fountain show at the Bellagio, visit the activities inside the hotels, etc. When you finish exploring all the casinos and hotels on the Strip we recommend going to Freemont Street, which is the old strip and is covered by the biggest LCD screen in the world. Fly across the Freemont Street with the SlotZilla zip line for only 25$ and experience the thrill of your lifetime. Las Vegas is also just a short ride away from the Hoover Dam, which you should definitely visit. For food, we recommend visiting Shake Shack in New York New York or Tacos El Gordo near Wynn Casino for both you will spend less than 20$ for a meal. The cheapest place you can stay in Las Vegas is Hostel Cat. It has an amazing vibe and the prices are 25$ for the shared dorm or 40$ for a private one. Hotels might lure you in with the cheap prices but be aware that they usually charge you a hidden resort fee which might be as much as 50% of the original price. Las Vegas is a place everyone should visit at least once in their lifetime. The nightlife and pool parties are really amazing with best DJs and Artist flying from all over the world just to perform in Las Vegas. The city never sleeps so you will be able to have an adventure and do something crazy at every hour of the day. 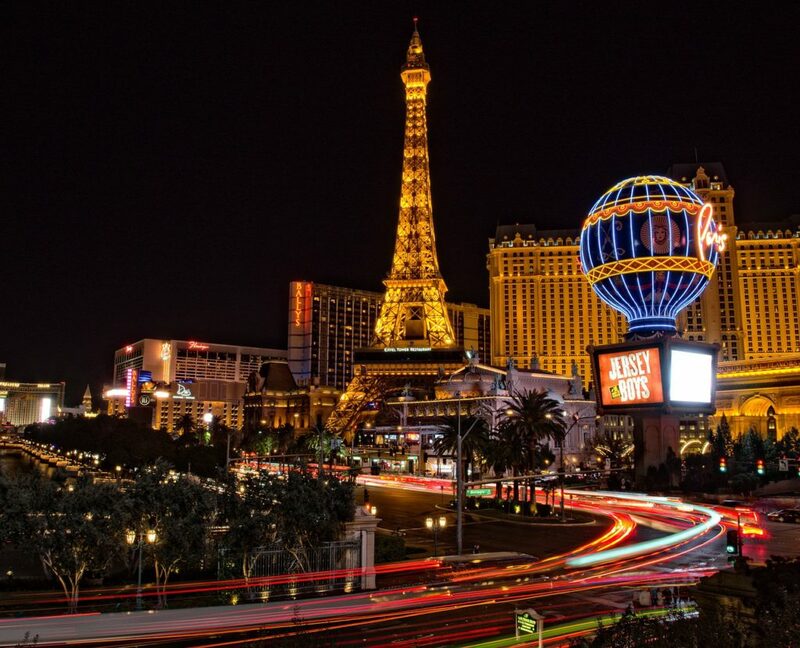 Don’t waste your time and book a trip to Las Vegas right away! Moab is a special outdoor adventure town. Most states are lucky to have 1 national park, and yet Moab has two national parks plus a ton of other recreational areas to visit on your west coast road trip. Moab offers hiking, climbing, slackling, base jumping, mountain biking, whitewater rafting, backpacking, rock crawling, dirt biking, and pretty much anything else you can imagine. Go for the 1.5-mile hike up to the base of Delicate Arch. The hike is a moderate uphill climb with lots of slick rock. 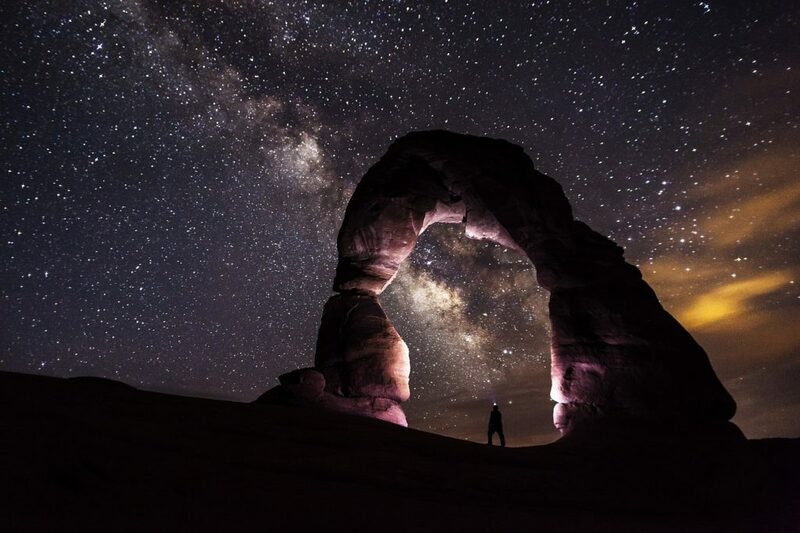 The trail ends with the iconic view of Delicate Arch and is a perfect place for an evening picnic to watch the sunset. Be sure to bring a headlamp for the return trip. The cost of hiking Delicate arch is only $25 for a 7 day Arches National Park pass. Pro tip: If visiting more than 3 national parks get the $80 American is Beautiful Pass for access to 417 parks for a year. Island in the Sky is a large mesa that stands 1,000 feet above the canyons eastern Canyonlands National Park. The mesa has specular overlooks over the Green and Colorado Rivers. There are several small hiking trails along the rim of the canyon. The Mesa Arch is an amazing place to watch the sunrise. The cost is also $25 for a 7 day Canyonlands National Park pass. The Needles are about two hours south of the Island of the Sky but worth the drive. The Needles are pinnacles of rock that jut out from the ground. This area is epic for hiking. There are many hiking trails that take you into the heart of the Needles and lets you explore the area and up close and personal with the Needles. Also $25 for a 7 day Canyonlands National Park pass. Moab offers a range of hotels but I prefer to camp in the parks. Price runs from $10 – $25 a night and it lets me move around between the parks and be close to the action! With 300 days of sunshine a year and quick access to the Rocky Mountains, Denver is an excellent destination for the city-lover who also adores the outdoors. The secret is officially out though, as Denver has recently become one of the fastest growing cities in the United States. Along with that growth, however, has come to a dizzying array of new restaurant, bars, clubs, and brewery openings, making it an excellent destination for foodies or night owls. 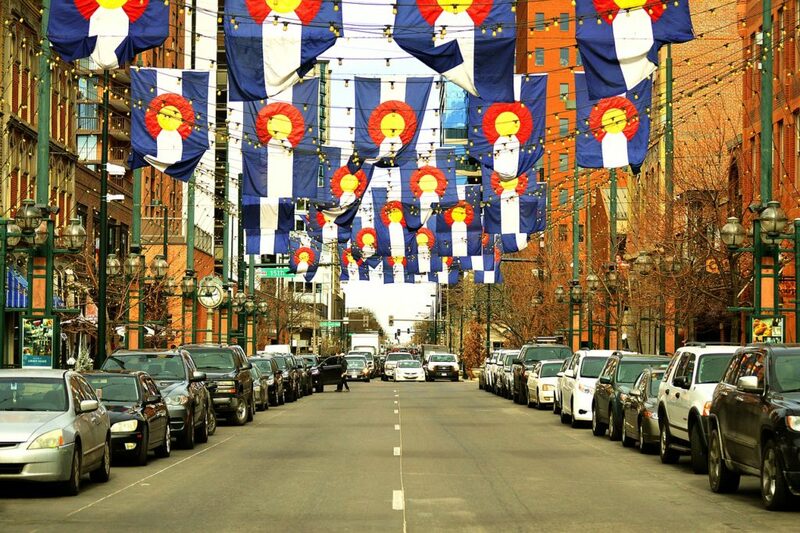 So, no matter what your travel style is, you’re sure to find something to love in Denver, Colorado! Start off by taking a brewery tour at Great Divide Brewing, which offers free tours several times a day at their RiNo location. While you wait for your tour to begin, grab one of their famous IPAs in the adjoining taproom. You’ll also have to visit the famous Red Rocks Amphitheatre just outside of Denver, which is set in a stunning formation of natural rocks that are colored (you guessed it) red. Check out their summer concert series (prices vary by performance), sign up for Yoga on the Rocks, or just visit for free to take in an unforgettable sunrise. Explore the Rocky Mountain Arsenal, a converted chemical weapons manufacturing center that has been given new life as an urban wildlife refuge. Entrance is free, but be sure to bring your camera, as you’re likely to catch bison posing against the city’s skyline. A Capitol Hill brunch institution serves up sweet and savory breakfast food in a retro dining room adorned with vintage cereal boxes at Jelly Cafe. Mains range from $9-15, but we suggest adding a cinnamon roll for $3 more. You can’t get a reservation at Work & Class, so you’ll need to grab a drink at the bar and wait with the locals outside this American/Latin fusion restaurant housed in a converted shipping container. The small and creative dishes ($6-18) will be well worth it though. Don’t miss the jalapeno cornbread. Patterson Inn – Stay at this unique French-style chateau in historic Capitol Hill. You’ll love the traditionally themed rooms and the evening social gatherings. Rooms start at $150 a night. 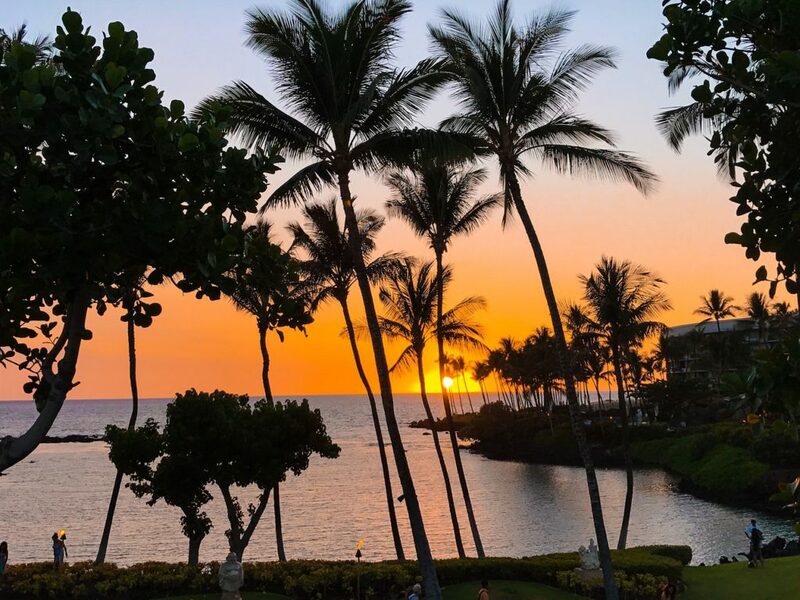 While getting to Hawaii can be expensive from most of mainland USA, when you get here, however, it is possible to enjoy everything our island paradise has to offer on a budget. As a native Hawaiian who was born and raised on the island of Oahu, I’m very lucky to have moved back to my hometown and raise my two kids in Honolulu. Hawaii is one of the USA’s most diverse states, and this cultural diversity is seen everywhere – from its people, to what’s on our plates, and is even represented in our street art. 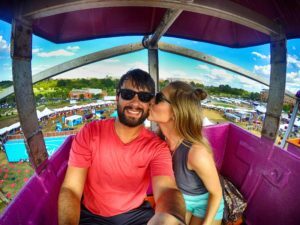 Spend a day at the Beach – As a local, I recommend skipping Waikiki and instead spend the day where the locals go at either Ala Moana Beach Park or Sand Island. Something you cannot miss is a visit to the Kaka’ako Arts District – Every year the art collective Pow! Wow! Hawaii brings artists from all around the globe to create beautiful street art murals in Honolulu’s burgeoning arts district, Kaka’ako. I recommend starting off a self-guided street art tour on Cooke Street, then walking over to Auahi Street, Pohukaina Street, and finally ending at Lana Lane. Hike Diamond Head – hiking up one of Hawaii’s most iconic natural landmarks will provide you with incredible views of the city and waterfront. I recommend starting when entrance opens at 6am in order to beat crowds, and if you’re visiting in the summer, the heat! Cost: $5.00 per car or $1.00 per person. Cash only. Food plays an important role in our daily lives on the island – it has become part of our culture and is a true depiction of the melting pot that exists in Hawaii today. Every last Friday of the month locals on the island of Oahu congregate at Kaka’ako Waterfront Park at “Eat the Street” to sample the latest offerings from Honolulu’s diverse and ever-changing street food scene. Expect to a variety of cuisines including Hawaiian, Mexican, Japanese, and even Ethiopian! Cost: $8-13 per entree. If you’re craving Japanese head over to Shirokiya Japan Village Walk, a gigantic food hall located at Ala Moana Mall. You’ll be able to choose from a variety of options at affordable prices, from food stalls to bistros serving fresh sushi, poke bowls (a must! ), burgers, spam musubi and more. Cost: $10-15 per dish. $1 beers on tap. If I had to pick one dessert you have to try when in Honolulu, it would have to be the malasada from Leonard’s Bakery. A malasada is a Portuguese donut without a hole, and Leonard’s makes some of the islands best! Cost: $1.15 per malasada. One of the best ways to get a true sense of Hawaiian culture is by eating like the locals do – here are 10 local foods from Hawaii to try. Depending on the time of year, hotels can be insanely expensive especially if you’re staying in Waikiki. 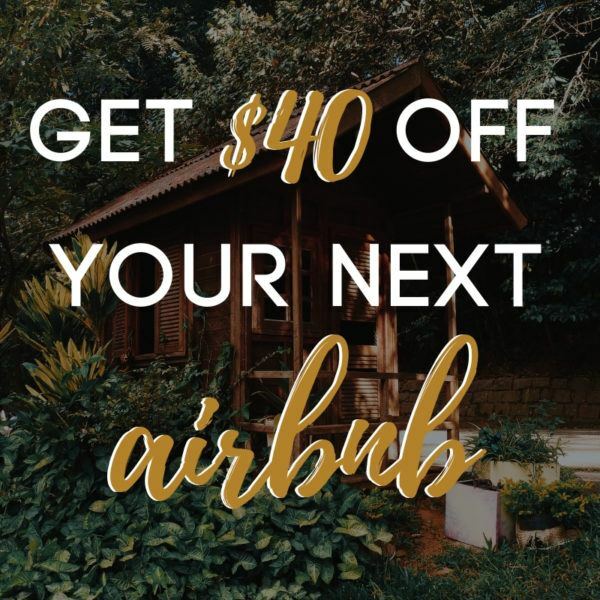 Whenever friends come to visit, I recommend Airbnb – there are plenty of affordable rental options that fit any budget. Anyone else ready to travel to one of these west coast road trip destinations!? LIKE THIS POST? CLICK AND SAVE! Great ideas! I’ve only ever been to Las Vegas from this list, I need to go visit the rest! This is a great list, I can’t wait to visit Moab! What a great list! We got to Alaska every year and while Anchorage is really great, getting out and away from the city is the best thing about Alaska. One of these days I will get to Moab. I think we just have to stop on a drive through.